Did you know your home can be part of the latest summer style trends? Nothing is hotter than clean, efficient energy right now. With so many providers vying for your attention, it’s hard to be sure which products and services are best for the environment. Energy certification is a great way to identify the best clean energy offerings. If your clean energy provider lacks Green-e Energy™ certification, you cannot be sure your renewable energy provider is minimizing its environmental impact. Green-e Energy is the global leader in clean energy certification and has been certifying clean energy businesses since 1997. Their certification means a company has met the highest standards in North America for renewable energy processes. Electricity rate plans certified by Green-e Energy are guaranteed to be environmentally friendly and reduce a Customer’s environmental impact. Ambit Certified Green plans give Customers the confidence their energy consumption is working to reduce waste. 20 percent monthly savings on your electric bill. The potential to significantly increase the value of your home. Minimal upfront investment for a custom-designed residential solar panel system. The peace of mind of an environmentally friendly choice. 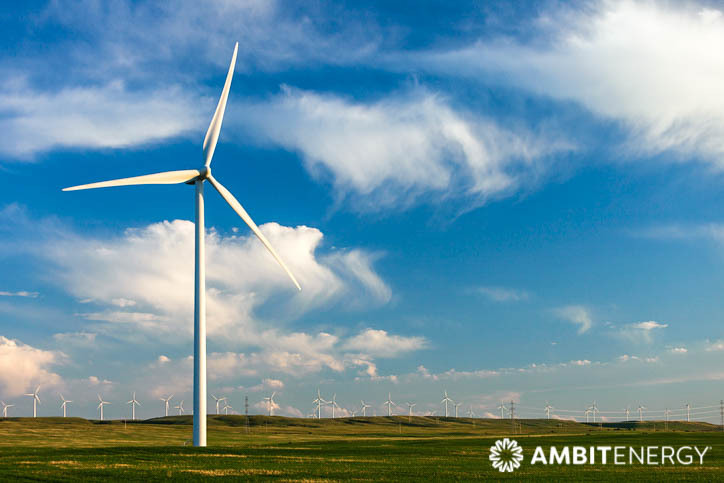 Ambit Energy is a certified energy company committed to the promotion of renewable energy generation, good for both the environment and your budget. Commit to environmental protection by viewing Green-e Energy™ certified rates and solar plans in your area.